At last, spring is right around the corner. 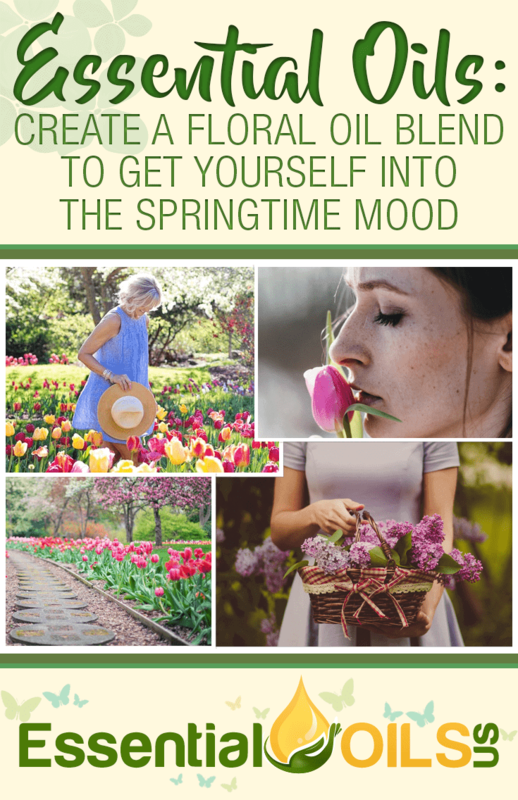 Many people feel an immediate improvement in their mood and overall well-being when sunny, mild spring weather comes around. If you’re ready to embrace this beautiful time of year, there are plenty of essential oils that can help. 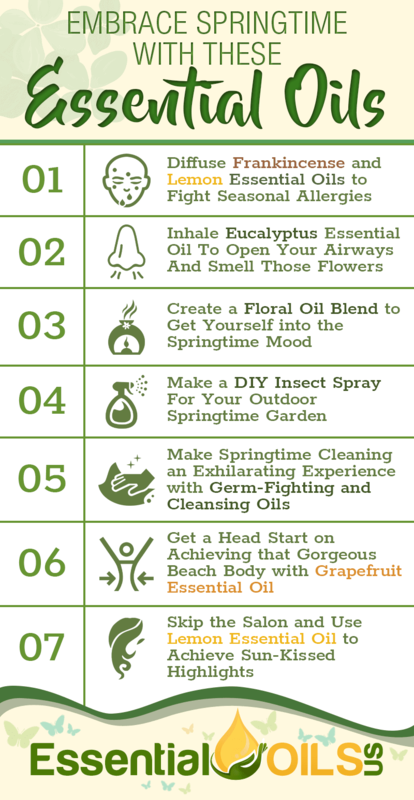 Between fighting allergy symptoms, getting that spring cleaning out of the way and enjoying the floral aromas that permeate the air as the flowers bloom, there are many ways to use aromatherapy to help you make the most of spring. If you’re one of the 50 million people who suffer from seasonal allergies as soon as spring comes around, it’s time to fight those symptoms with the magic of essential oils. Allergies are caused by a malfunction of the immune system, causing the body to mistakenly perceive harmless allergens as threats to the body. Fortunately, essential oils can treat the symptoms while boosting the health of the immune system so that it no longer overreacts to these common allergens. Frankincense essential oil has been found to act as a steroid when inhaled. If you’re a long-time allergy sufferer, you know that steroids are often the go-to medications for blocking the body’s ability to perceive allergens as threats. The oil’s strong anti-inflammatory properties also soothe inflammation throughout the body, reducing the swelling of the airways that is responsible for that stuffy nose, sinus headache and congested throat. 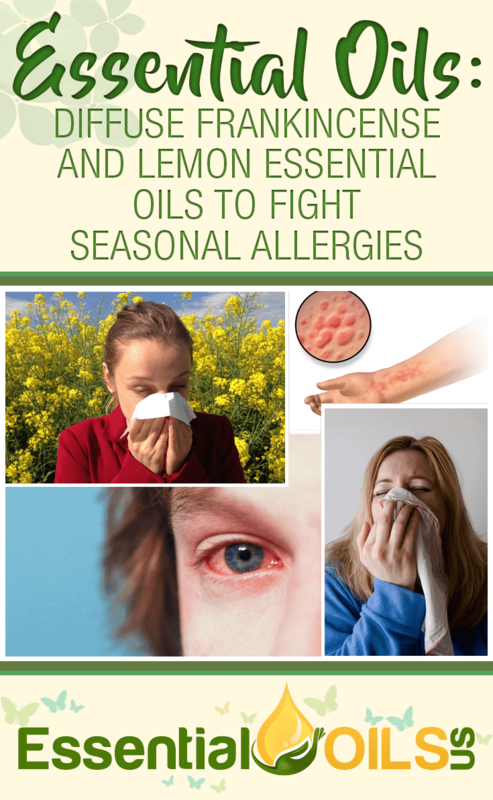 Lemon essential oil fights allergy symptoms as well. Its high level vitamin C improves the function of the immune system while reducing symptoms like a sore throat, stuffy nose and watery eyes. Many people associate the early days of spring with congested airways. 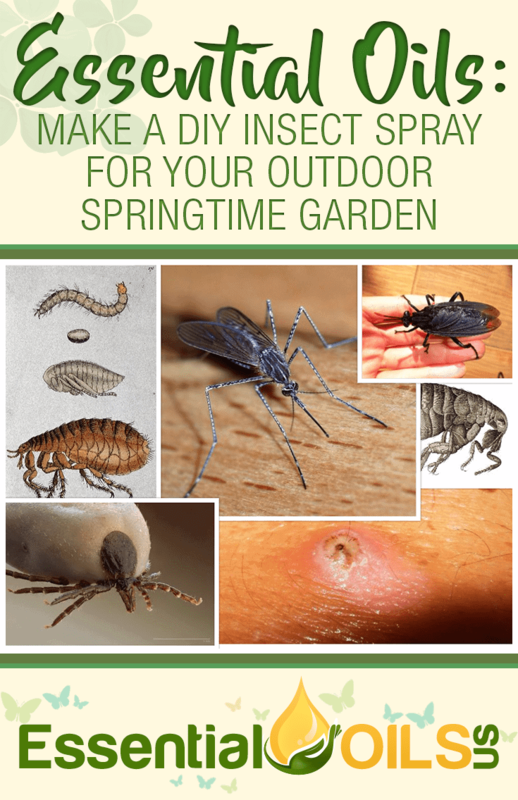 Between seasonal allergies and the variety of viruses that manage to hang around while the seasons change, countless people find themselves stuffed up beyond belief during the first month or so of spring. Thankfully, eucalyptus essential oil is a potent decongestant that can open up your airways when inhaled. Just sniffing the bottle can instantly thin the mucus and phlegm that’s clogging up your nose and throat. After a few whiffs, you’ll be able to enjoy the glorious smells that springtime has to offer. When we think of spring, we think of gorgeous flowers that enhance the beauty of the outdoors while gracing us with wonderful aromas. 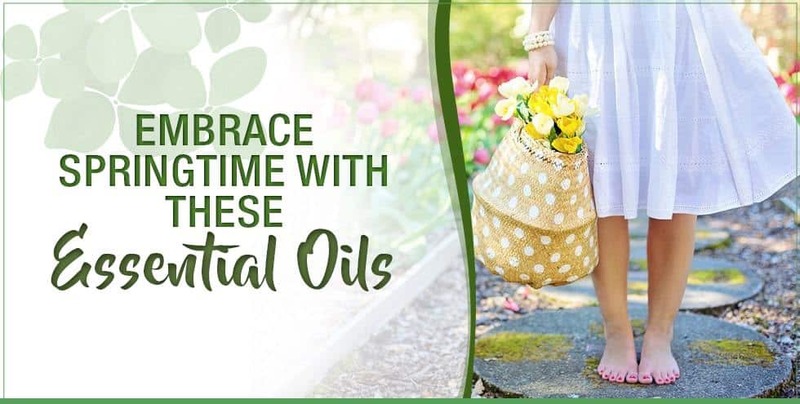 If watching the blossoming of elegant flowers is your favorite part of spring, it’s time to get into the mood by making your own oil blend that’s derived from floral essential oils. There are many floral oils out there from which to choose. Our favorite oil blend is a combination of rose, geranium and jasmine essential oils. If you want to wear your oil blend as a perfume, simply combine five or so drops each of your favorite floral oils with about ten tablespoons of your favorite carrier oil. Pour this mixture into a small dropper bottle and dab it onto your favorite pressure points each morning. You’ll smell like beautiful flowers all day long! Many people look forward to spring because it allows them to get back to their gardening. If you’re a gardener who doesn’t want to worry about insects ruining your crops, there are many essential oils that can help. One major advantage of using a blend of essential oils as an insecticide is that you won’t be dousing your plants with the toxic chemicals that are found in most commercial bug sprays. Nearly all essential oils possess insect-repelling chemical compounds. You can make a spray from a variety of oils and some water. Our favorite bug-repelling essential oils are tea tree, lemongrass, lavender and rosemary. Whether you love it or hate it, spring cleaning is an essential ritual at the start of the season. Everyone wants to have a clean and fresh-smelling home when the warmer weather comes around. But, one of the biggest mistakes that can be made is to spray excessive amounts of toxic commercial cleaning products throughout your home. Many of these products can be irritating to the nose and even harmful to the body when inhaled over a long period of time. 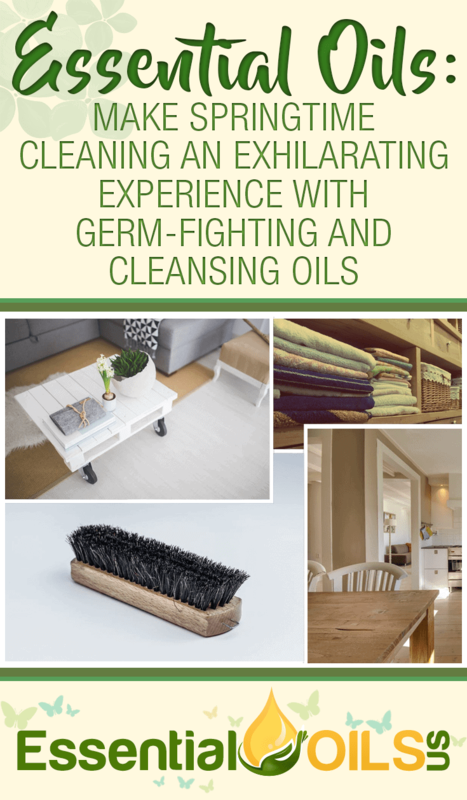 Fortunately, essential oils can clean and freshen up your home without harming your health. A cleaning spray made with white vinegar and a few drops each of tea tree, lemon, rosemary, lavender and frankincense essential oils will make cleaning a breeze. These oils will kill germs of all kinds on contact while providing your home with a heavenly fragrance. Plus, lemon essential oil has the unique ability to remove stains and cut through grease. Most people put on a few pounds during the winter months. Between the rich foods of the holidays and the habit of eating for comfort during the dreary months, many of us find ourselves feeling self-conscious about our bodies once spring comes around. If you want to shed weight naturally so that you can feel good about your body during the warmer months, grapefruit essential oil can help. Grapefruit essential oil promotes weight loss in a variety of ways. For one thing, it can curb cravings for sweets when inhaled through the nose. More fascinatingly, studies have found that grapefruit essential oil can actually reduce abdominal fat when massaged into the skin. The oil also improves insulin resistance, helping the body break down sugar more quickly and thoroughly. When the weather warms up, countless women rush to the salon to achieve blonde highlights that give the hair a sun-kissed appearance. If you want to get those gorgeous golden tones without applying harsh bleach to your precious tresses, use lemon essential oil instead. 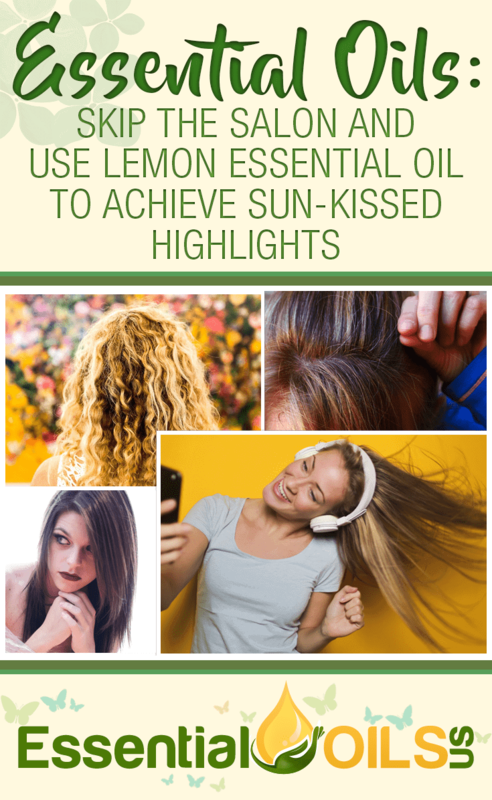 Lemon essential oil has natural bleaching abilities that gently strip pigment from hair. You’ll enjoy subtle and natural-looking highlights that cost next to nothing to achieve. All that you have to do is fill a small spray bottle with water and add about ten to fifteen drops of lemon essential oil. Then, spray away before spending a half hour sitting under the sun. The light and warmth of the sun activates the lemon oil’s natural bleaching properties. 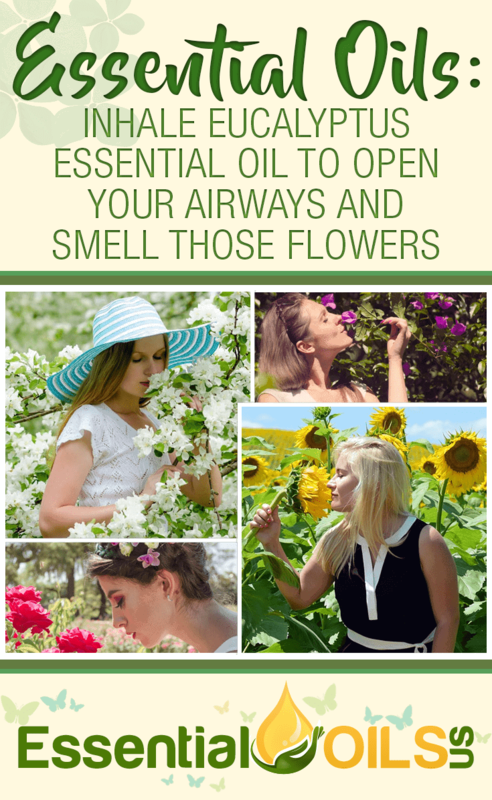 These amazing essential oils will allow you to start the spring season off right. Plus, their fresh aromas will help you get into the mood of the season.